Health Professionals: Join Dr. Chilkov in L.A. for her comprehensive introduction to Personalized Cancer Risk Reduction. Health Professionals: Join Dr. Chilkov in Houston for her comprehensive introduction to Personalized Cancer Risk Reduction. Dr. Chilkov is honored and excited to join 30 other top experts on naturopathy to present at the 4th International Congress on Naturopathic Medicine in London, presenting on Cancer Control and Prevention: Targeting Tumor Promoting Inflammation. 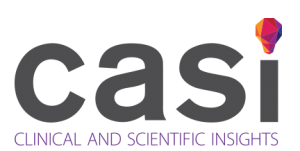 Health Professionals: Join Dr. Nalini at the CASI Conference where she is honored to present on Making Cancer Personal. Health Professionals: Join Dr. Chilkov in New York City for her comprehensive introduction to Personalized Cancer Risk Reduction. Health Professionals: Tune in to the free, live webstream for Dr. Nalini’s presentation on the Evolution of Oncology at the January Functional Forum! Health professionals: Join Dr. Nalini at the A4M 24th Annual World Congress to hear her present on Increased Rates of Cancer and Cancer Mortality Associated with Obesity and Insulin Resistance: Nutraceuticals and Botanicals. The Integrative Women’s Health Summit is a two day event in London featuring world-leading integrative physicians who specialize in women’s medicine. Dr. Nalini will be presenting two lectures: The deadly link between obesity, diabetes, insulin resistance and increased cancer risk and The estrablome: the link between your microbiome and estrogenic cancers. Learn more. 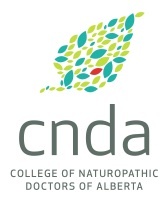 Dr. Nalini will facilitate a session on Selected Acupuncture Points & Phytochemicals from the Chinese Materia Medica that Influence the Development Cancer, Diabetes, Obesity and Longevity at the College of Naturopathic Doctors of Alberta’s 3rd Annual Conference.